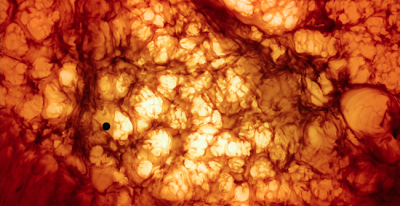 This is the second part in my three-part exploration of Terrence Malick’s The Tree of Life. It should be noted that this part does indeed include numerous spoilers. Part I can be read here. Since its premiere at the Cannes Film Festival, Terrence Malick’s The Tree of Life has garnered unique attention by film critics, who have produced some of their most thought provoking writing on any film in some time. 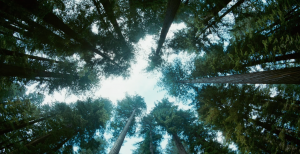 In a way, Malick’s film has reaffirmed the need for criticism, as the film, whether a masterpiece or a disaster, is a film that demands interpretation, philosophical musings, and cinematic theories to be explored. Less of a look at whether The Tree of Life should be considered a successful work (though that will be explored slightly), I instead have taken a handful of critics who have written thoughtful on the meaning of the film instead. The goal of this is not to come to any sort of a conclusion, but simply expand on some of the different pillars of thought that seem to be towering over other critics as they debate this intensely personal as well as cosmological film. 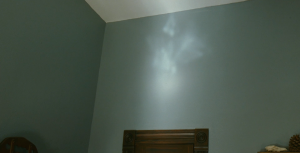 Malick begins The Tree of Life with an image that is indecipherable, and many critics have gone on to explore what this image means. Shaped like some sort of nebula, or the beginning atoms smashing together, it could represent anything. It repeats three times in the film: twice to set up the film’s other opening prologues (the Sean Penn-centered section and the beginning of time section), and then at the film’s close. Besides the conclusion of Mr. Koehler’s statement being a little malicious, I think he is confusing the takeaway of the film with the rest of it. The film clearly does not seem to be heading toward a hugs and kisses conclusion as we watch the young boys grapple with puberty, and to say that the way of grace over the way of nature is right also misses the urges within Jack that spark him toward violence, due to his lack of facing nature. Neither way discounts love though, and we see it in different forms through Mr. and Mrs. O’Brian. The conclusion is thus one of confusion, but togetherness in that confusion. We are swept into the cosmos and leave without any understanding of the big questions, and maybe the disappointment of the film’s climatic scenes, in which the characters take solace with each other instead of the Almighty, is the point that Malick wants to make. Mr. Brody, instead of responding to the film’s religious side, views the film’s faith as not a direct call toward God but as a historical note on our observations of the American dream of the 1950s. No doubt the film takes place in Waco, Texas, a place where decades later a strong faith in spirit would lead to a massacre. 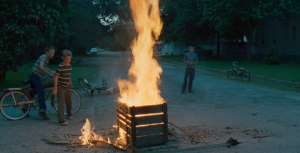 Additionally (and in only a single scene), Malick shows a truck spraying DDT across the suburban neighborhood, as the young children scream and dance in the gas. That spirit of innocence to any educated viewer could surely be replaced by an early death years later, and Malick’s image of the have and the have-nots is what drives Mr. O’Brian, an inventor who has never seen a dollar of his patents and a good worker who was fired despite never missing a day of work. For that to be the trigger to leave Waco seems to be a callback that the Eden of Jack’s image of the world has faded from existence, and the beautiful childhood is spattered in its bad patches of grass (Mr. O’Brian is obsessed with rooting out all the weeds, but he never seems to get them all). Mr. Veshnevetsky is perhaps correct to put this film as into what he calls the “collective dream-state,” as that may be where all of Malick’s films lay. His narrators in Badlands and Days of Heaven seem to be both omnipotent to the events they discuss, though not yet at an age of which they can understand them. Such unique shifts in point of view are especially fundamental to The Thin Red Line, where voiceover narration shifts dramatically between characters without warning. Some of this could make sense, as Jack could imagine all these things in his head, including the painful beach epilogue where everyone hugs and becomes a family under the eyes of the all watching God. But it also brings up the issue of why Jack is our protagonist looking back, and what has caused these memories. Surely, the film would make more sense if set in the late 1960s as the film begins with the death of Jack’s brother, which seems to be where the torment began. For Malick to have his stand-in wait thirty years to have an epiphany to force his mind to return to this time (as well as his mother’s childhood; not to mention the origin of all of time), seems to be a stretch without something missing (further adding to the fact that the sequences with Penn seem to be missing some key ingredient, despite the luscious cinematography that Malick finds in the architecture). Mr. Lodge hits the nail on the head, as what we see beyond the edges of Texas feels like a different film all together (in fact, Malick has apparently planned a nature documentary entitled Voyage of Time that the universal sequences are apparently a part of). A sign of compassion between two dinosaurs might hint at the same philosophical concerns as the showdown between nature and grace, but such issues could also take place at Guadalcanal or the founding of Jamestown. 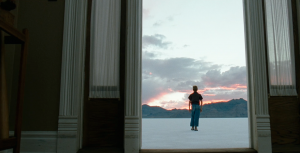 There is a brilliant film in The Tree of Life, though I agree that as a work of art, it is certainly Malick’s least successful film to date, though it brings up much to discuss in terms of God, the American dream, and cinematic subjectivity. And not all films worthy of discussion must be masterpieces (and some of the best essays on cinema often concern the most trash-worthy flicks). What I have attempted to do here is not only highlight issues and ideas raised in The Tree of Life but also create an appreciation of how sharp the film critic community has become. Their words have help produce many of my ideas here, and hopefully, like all great criticism, it is only the beginning of a discussion, instead of the final point.